Eleven-year-old Savannah Vanase was cleaning the chicken coop in her family’s Norwich, Conn., backyard earlier this month when she was approached by a raccoon. The family’s Pit Bull, 21-month-old Tank, saw the raccoon, which was just inches away from Vanase. “They were just tussling, and the raccoon went on his back and scratched him on his face, and Tank kept trying to pounce on him,” Vanase said. Tank killed the raccoon, which later tested positive for rabies. Unfortunately, Tank’s heroic act has the possibility of ending in an “Old Yeller” type tragedy for the pup. His rabies booster shot was a few days overdue. If he was infected, he will have to be euthanized. Tank must be quarantined at a local animal shelter for six months to see if he develops symptoms of rabies. Animal control officer Donna Gremminger told KTRK that if Tank’s vaccinations had been up to date, he would have required a 45-day home quarantine. Gremminger said Tank has so far shown no signs of rabies, and said that none of the dogs she has seen quarantined in the shelter have turned out to be infected. The six members of the Vanase family must also undergo a series of treatments for rabies. “When he comes home, (I’m going to) make him a big, nice, peanut-butter-bone-treat cake and hug him as hard as I can,” Samantha told KTRK. 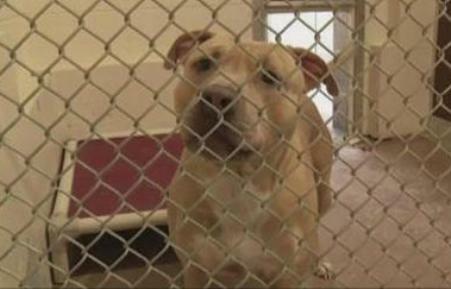 Hopefully Tank’s story will have a happier ending than “Old Yeller.” And hopefully Tank’s family will make sure his vaccinations are up to date for the rest of this hero’s life.